All of these places are also suitable for public transport. BONUS! 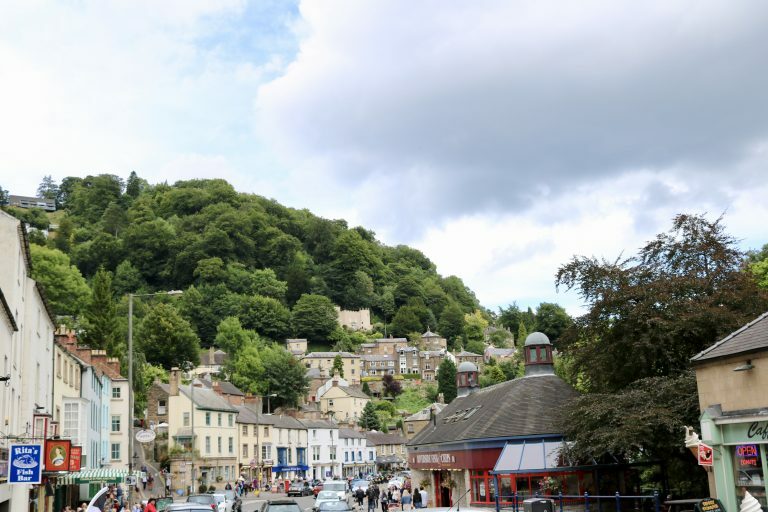 There’s lots to do in Matlock and Matlock Bath. Getting to Matlock on bus is easy as there is a direct service, although it does not go to Matlock bath. There is a train station at Matlock Bath, which is my preferred route, and is right next to Heights of Abraham; brilliant day out with loads to do! In Matlock bath, you can have a free day out. 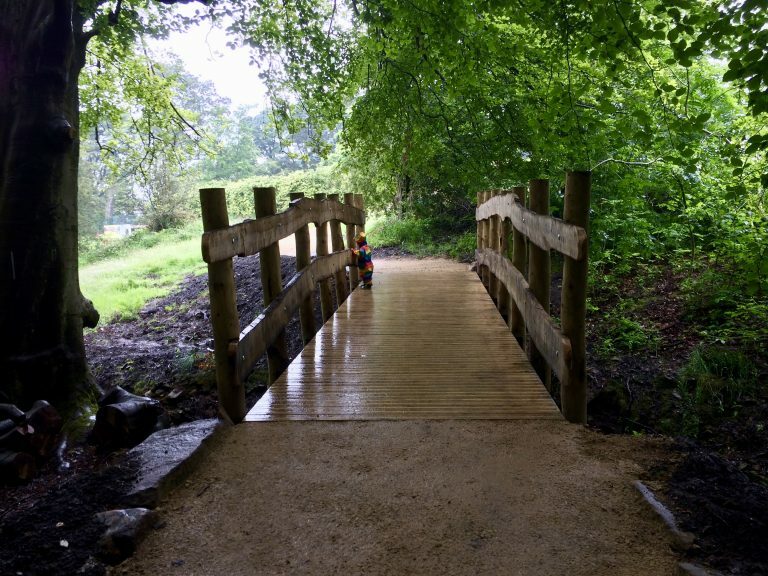 Take a walk along the river derwent, not missing the two playgrounds and paddle boats. 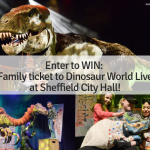 Otherwise, there is a museum: the Peak District Lead Museum, Gullivers Park theme park, Matlock Aquarium, Heights of Abraham, Hall Leys Park in Matlock which has a splash pad, shopping, and more. 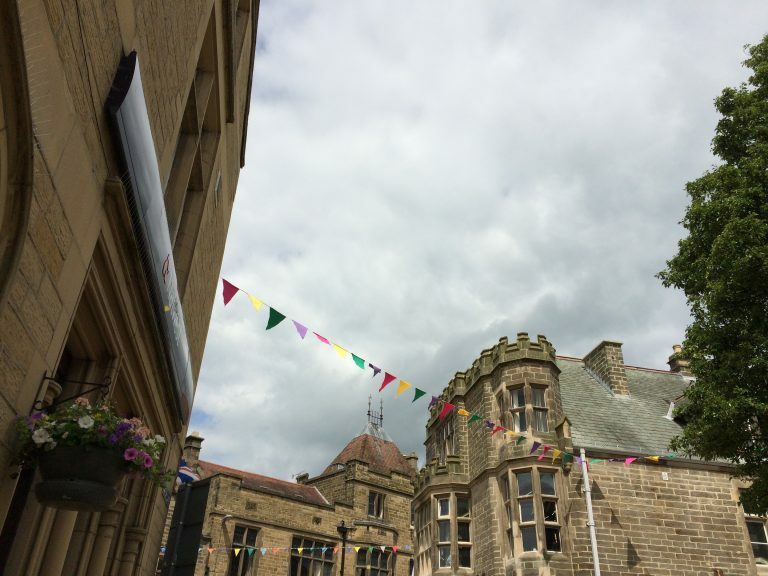 Matlock is a great day out for all ages with something to suit everyone. Chatsworth House in Derbyshire is a wonderful day out. A visit into the house is always spectacular, especially at Christmas. The extensive gardens are home to a kitchen garden, maze, water features, trails, events and more. 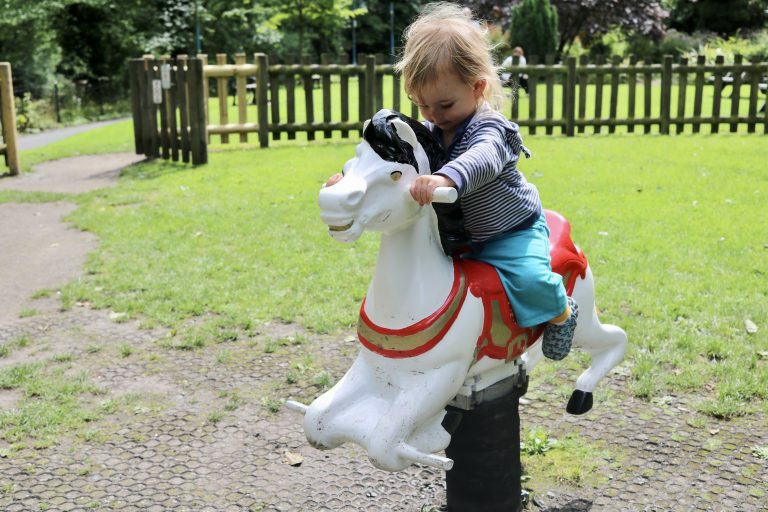 For families, I really recommend the great farmyard and playground with water and sand play, huge adventure playgrounds and friendly animals, suitable for toddlers and teens (even adults can have fun!). 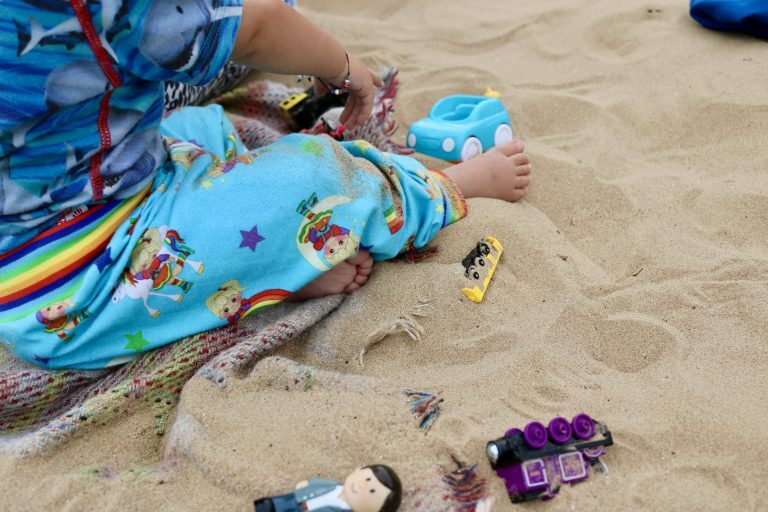 Don’t forget the waterproofs for paddling & water/sand play! You might find it a challenge to do it all in one day. Getting to Chatsworth from Sheffield is very easy just catch the 218 which goes into Chatsworth estate and car park. 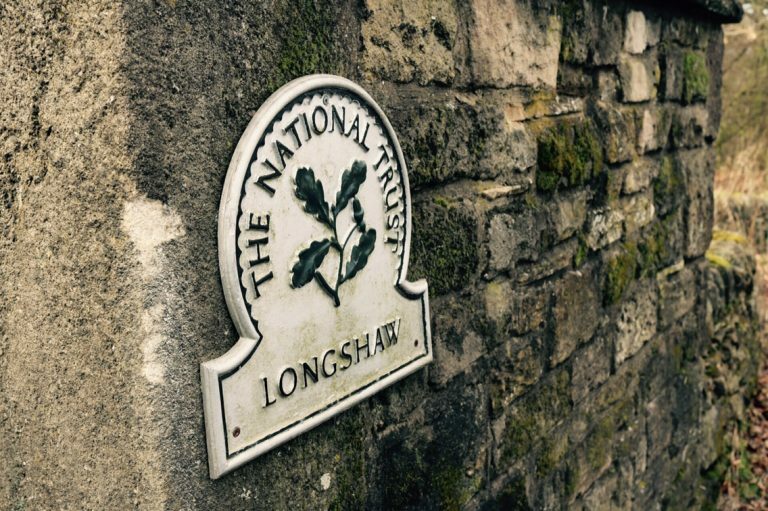 This National Trust site is a really special place on the edge of Sheffield, in the Peak District. 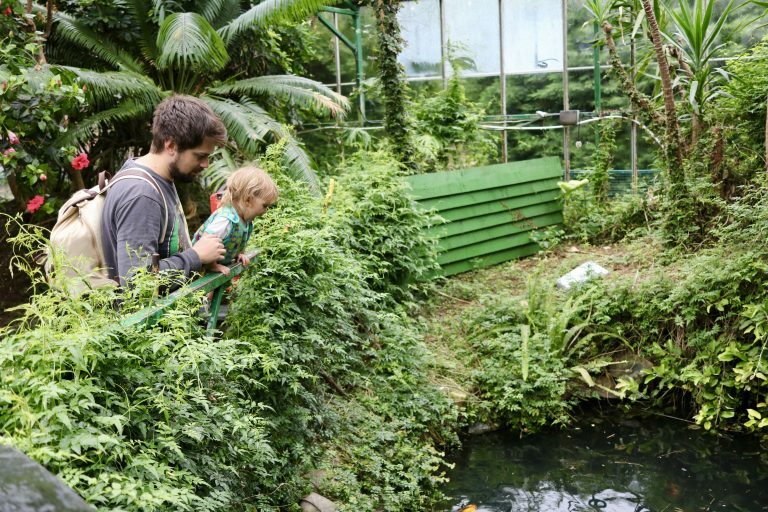 It is free to visit and it’s the perfect place to explore, go walking, play, have a picnic, spot nature and wildlife, bug hunt and more. There are good facilities such as cafe, visitors centre & toilets. 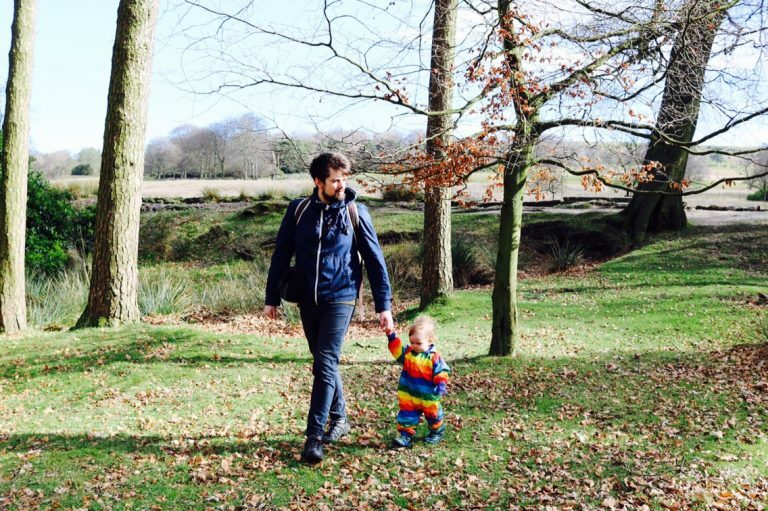 Walking trails are waymarked, one of our favourites is a 1/2 stroll down to padley gorge. 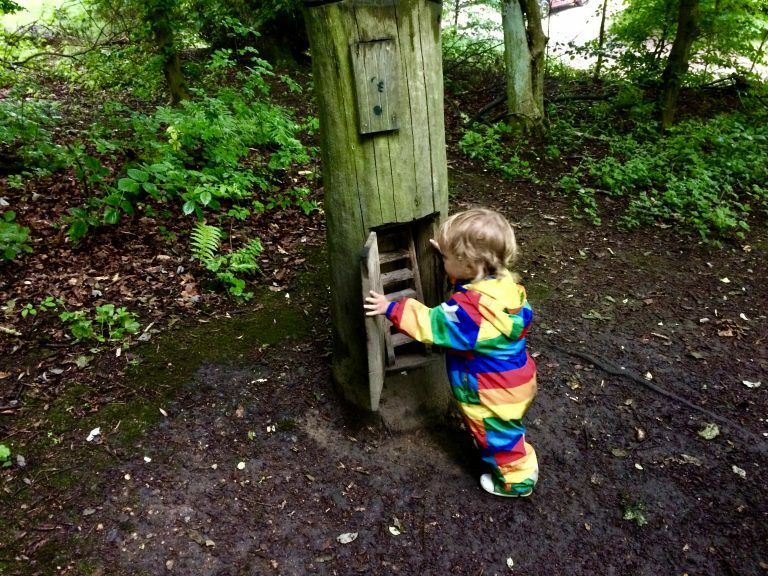 Kids love Longshaw, too, it’s perfect for outdoor play and there are bogart homes and dens to find and play in. Not forgetting paddling and ice cream at padley gorge! 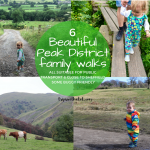 Longshaw is easy to get to by bus from Sheffield and is still in the border, there are lots of walking opportunities around and exploring to do, choose one of these family friendly Peak District walks near to Longshaw. 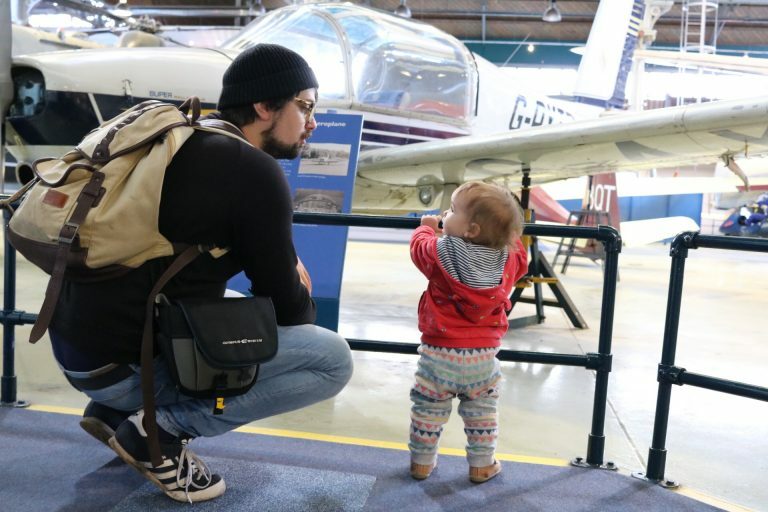 National Coal Mining Museum For England is near Wakefield which features a fantastic new adventure playground, nature trail, cafe, underground tours, pit ponies and school holiday activities. The Hepworth Gallery to free to visit. 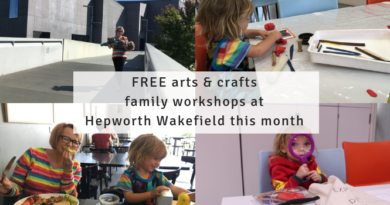 I recommend the free family art activities/workshops at The Hepworth (as well as the lovely cafe and nice little playground). 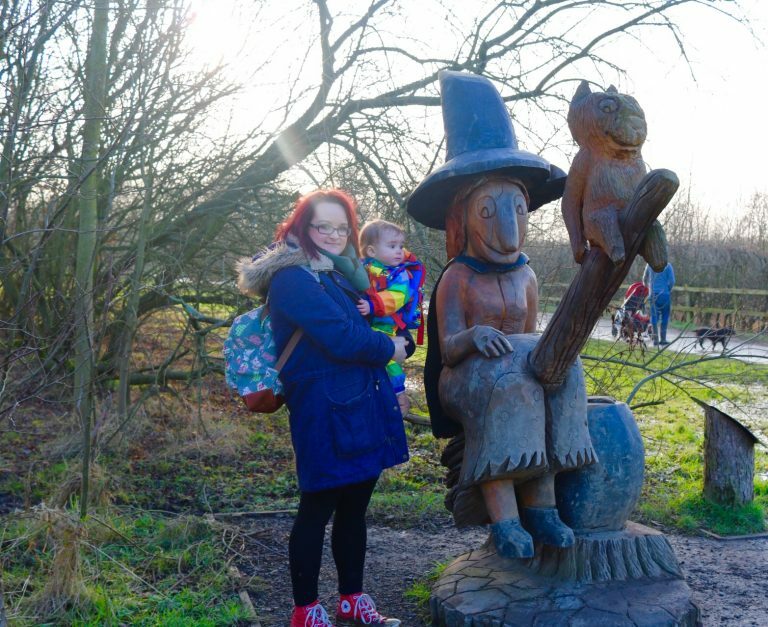 Just outside of the city centre at Anglers Country Park is the free Room on the Broom trail which is great and SO fun! I really recommend it, there is a great playground too, cafe and visitors centre where you can pick up an activity pack. 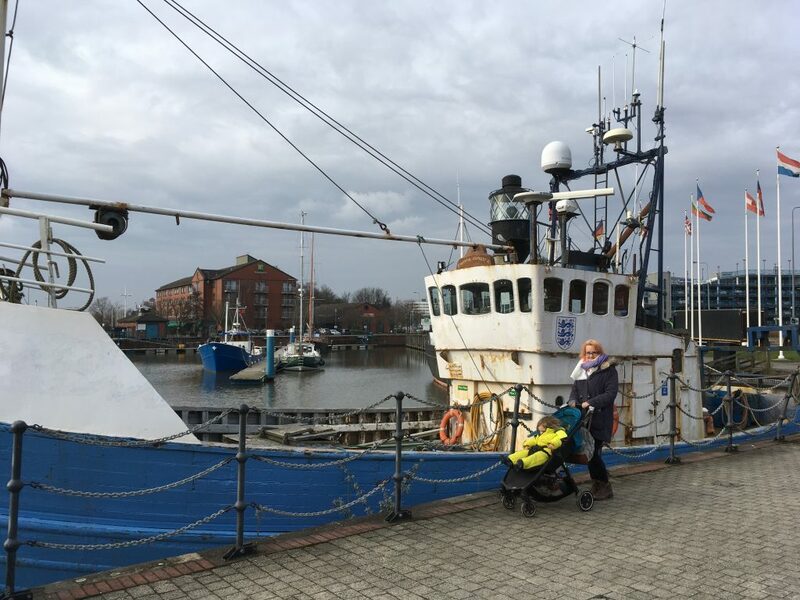 A museum quarter in Hull is definitely enough to keep you busy and best of all all FIVE of the museums are free to visit! I really recommend the Hull & East Riding Museum and Streetlife Museum. There is The Deep, too, which is an aquarium very popular with families. 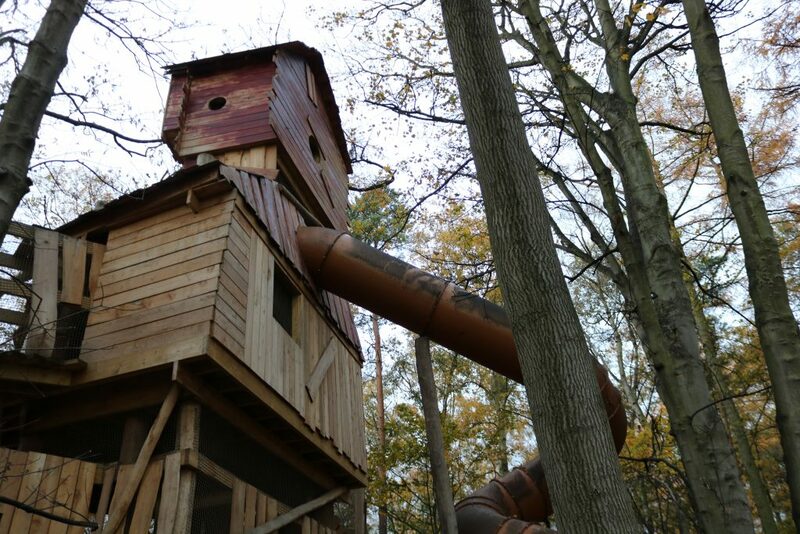 Just outside of Hull near Brough is the new Williams Den, a unique outdoor family attraction which encourage and promote nature play. The closest beach to Sheffield, Cleethorpes is approximately 1 hour and 45 minutes from Sheffield on the train. 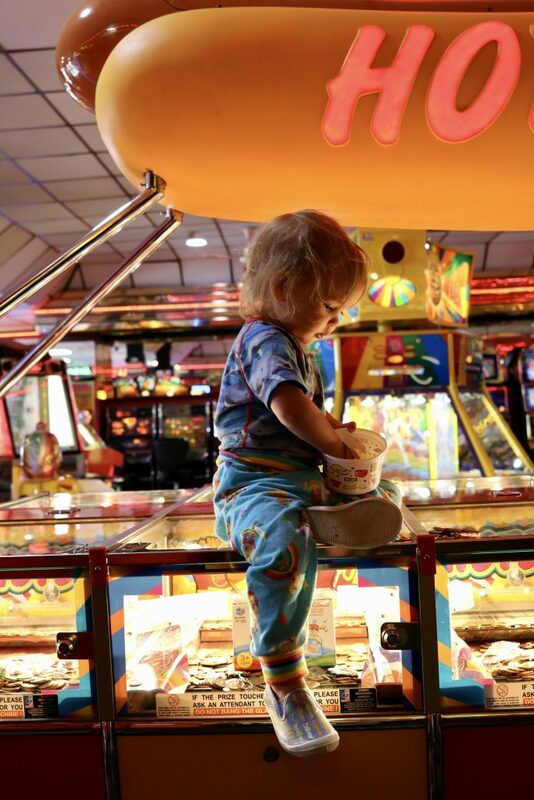 There is so much to do there from enjoying the sandy beach and arcades, light railway, land train, soft play, playgrounds and paddling pool, zoo and more. You can easily have a free (or cheap) day out by taking your own food and just enjoying a stroll along the beach and building sand castles. The train station is on the sea front making it very convenient for a day trip. 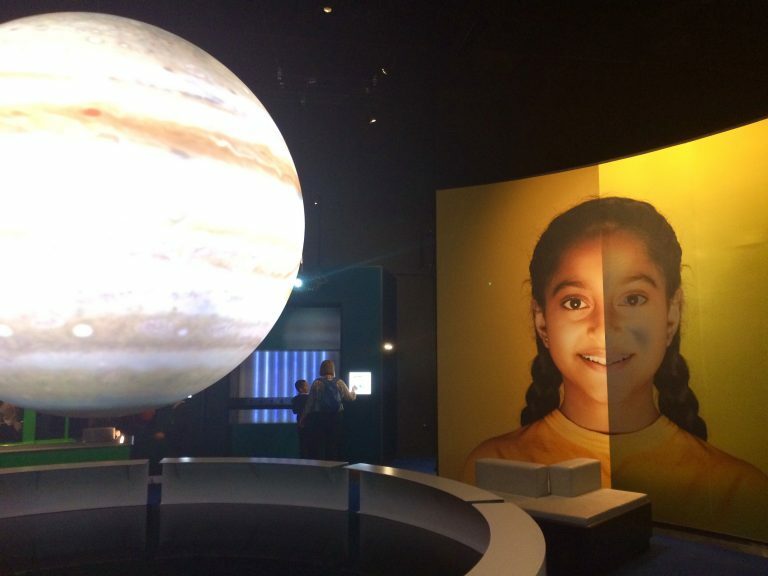 The National Science and Media Museum in Bradford is absolutely great for all ages, kids will love the new wonderlab gallery and the whole museum is free. Across the road is the city park which has a mirror pool and is the UK’s largest urban water feature. Nearby is Halifax, home to Eureka! The national children’s museum (read my review here) and The Piece Hall. A few stops away on the train is the historical village of Saltaire, a world heritage UNESCO site with a gallery, gift shop, riverside walk and more. 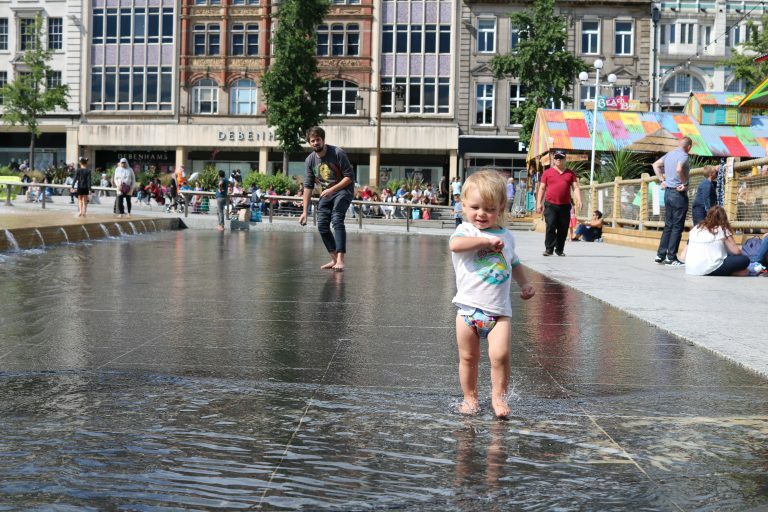 Only an hour away on the train, Manchester has loads to do for all ages. A visit to the Museum of Science and Industry (MSI Museum) is a must, it is completely free to visit and has so much to do and see. Kids will love getting hands on in the Experiment! 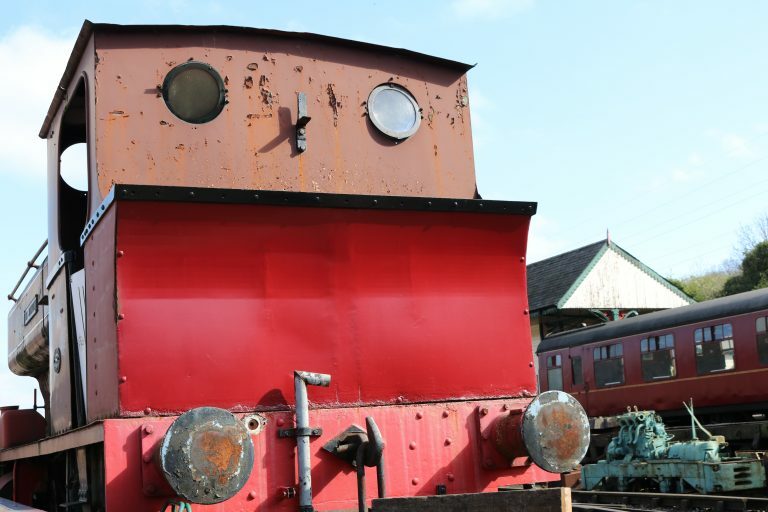 gallery, seeing trains, engines, live demonstrations and much more. It’s one of our favourites. 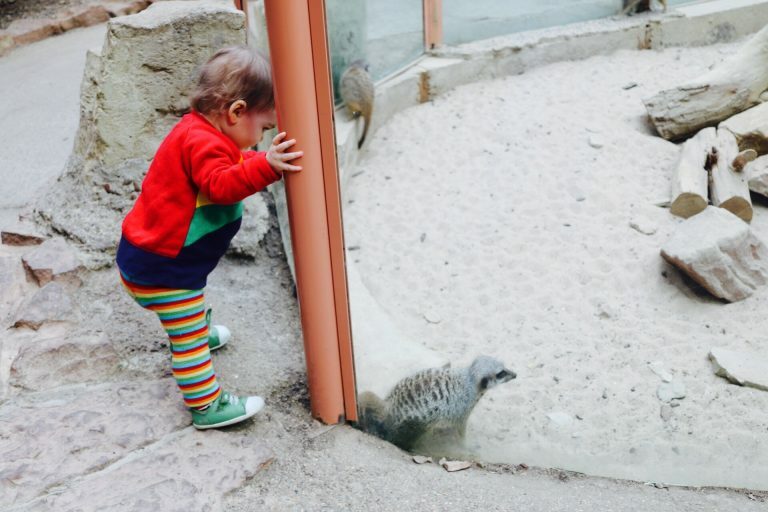 The museum is massive and there is a gallery with experiments, small play area and sensory displays similar to Eureka. 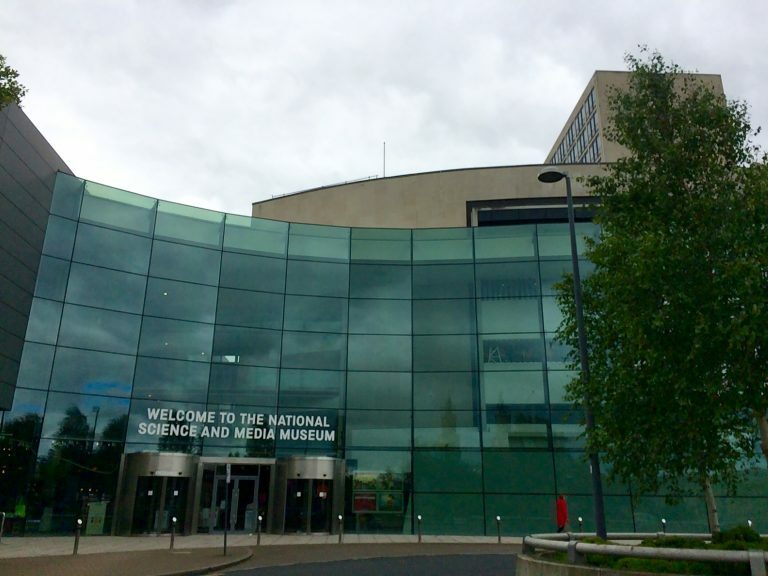 There are so many more museums in Manchester such as the National football museum, People’s History Museum and Manchester museum. Not far from the city centre is the Trafford centre, a pretty impressive shopping centre with beautiful architecture. 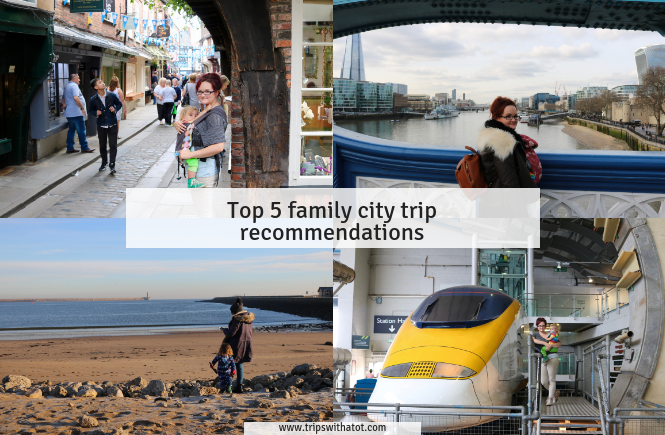 If you don’t want to shop, you could visit sea life centre, Lego Land Discovery Centre, or go to Chill Factore which has a huge indoor play area. We love Nottingham and it is quick to get there from Sheffield; under an hour on the train. In Nottingham there is a kitty cafe which is so unique and cute!, Nottingham Castle (closed until 2020) which is very interesting and has play areas for children, city centre water features which are great for paddling and a pop-up beach in summer, Nottingham exchange arts centre, and just outside the city centre is Wollaton Hall and deer park. 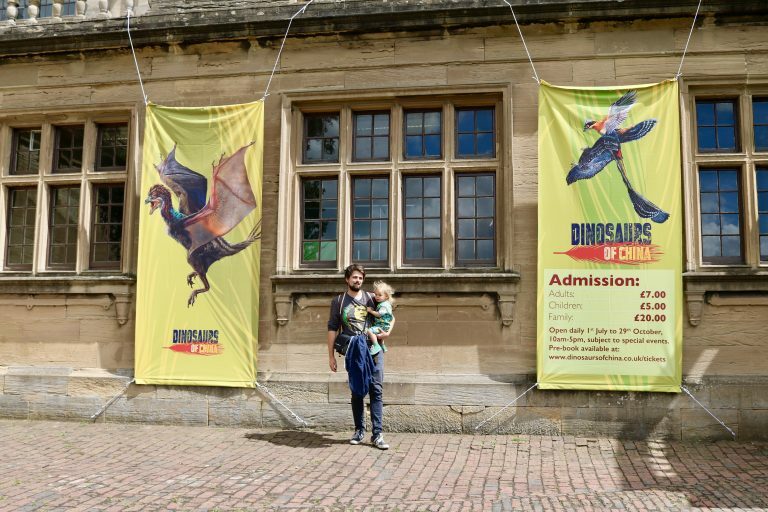 Wollaton Hall is free to visit and has a playground, tons of space for walks and exploring, and a free natural history museum; I really recommend it. 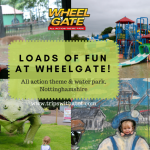 Nearby to Nottingham (and on the Sherwood Arrow Bus route) is Mansfield, where a day out at Wheelgate park is really fun with tons to do all included in ticket price. In addition, there’s White Post Farm, and Sherwood Forest home to Robin Hood. 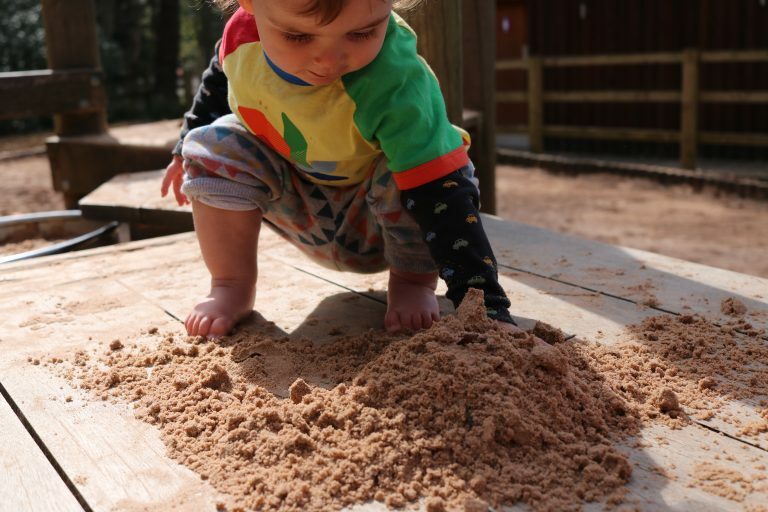 Try the Zog trail at Sherwood Pines. 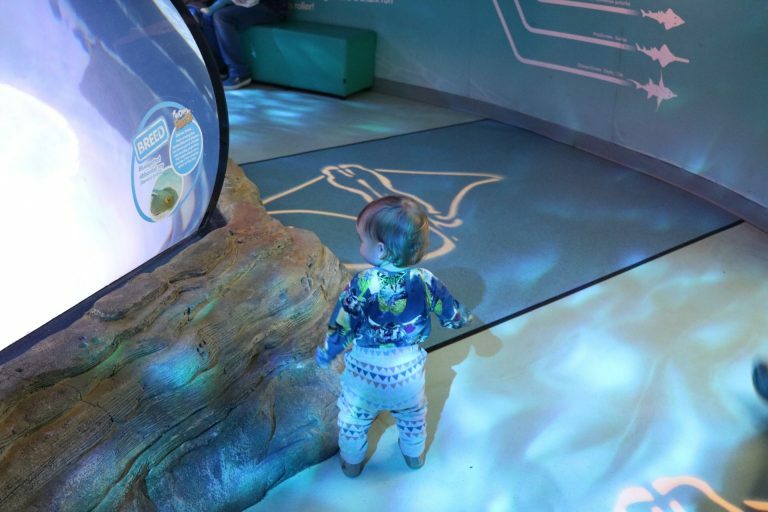 The Experience Barnsley Museum and Discovery Centre is free, we were really impressed when we went as Eric loved the cars, interactive displays and building block tables. Across the road is The Cooper Gallery, again free, which has a nice cafe and art exhibitions, plus free art explorer bags for children. 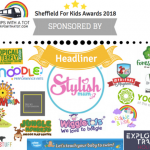 Cannon Hall Farm in Cawthorne, Barnsley is one of Yorkshires most popular day out with lots of animals, play areas both indoor and outdoor, events and more. On the same grounds is Cannon Hall Museum which is free. For outdoors exploring, Worsborough Country mill and museum is free and just across is Wigfield Farm for animals. Elsecar is a village in Barnsley home to Elsecar Heritage Centre which is a really nice place for a day out. 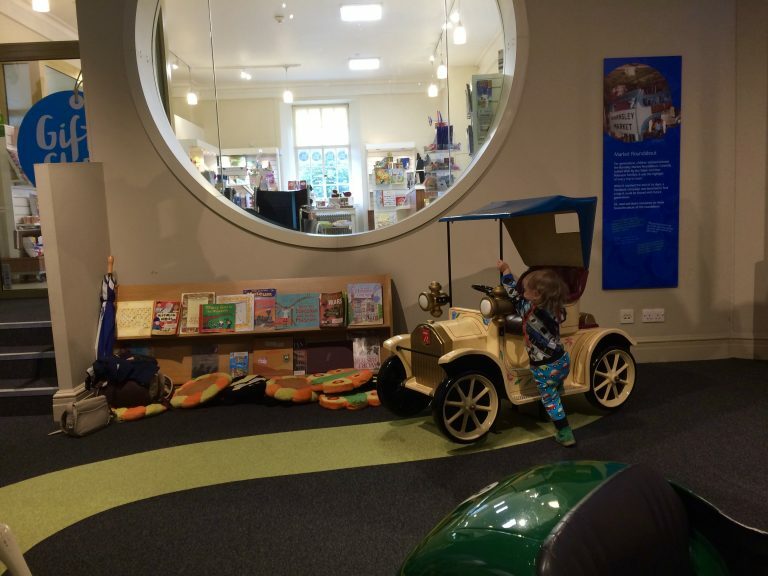 The walled heritage centre is a perfect spot to let kids run around and explore, it is all cobbled street and pedestrianised. 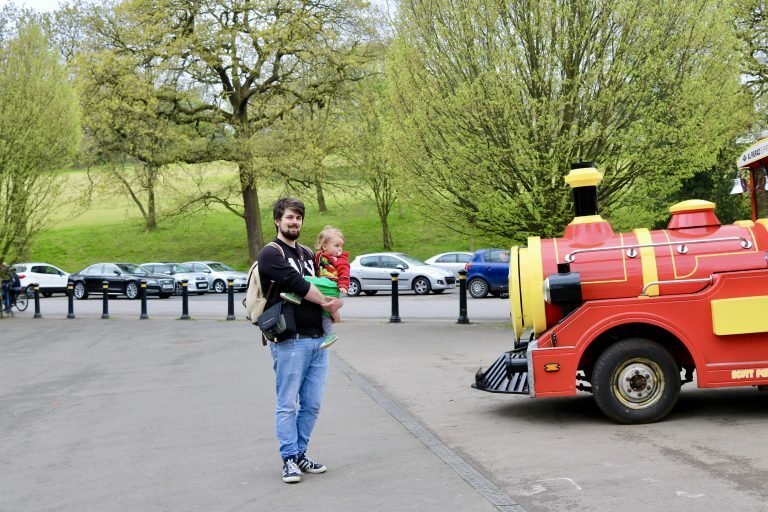 There is a free museum with dressing up and lego, antique shops, gift and toy shops, soft play centre, historic heritage railway, and nearby just up the road is Elsecar Park with a good playground. There are plenty of family friendly pubs in Elsecar. 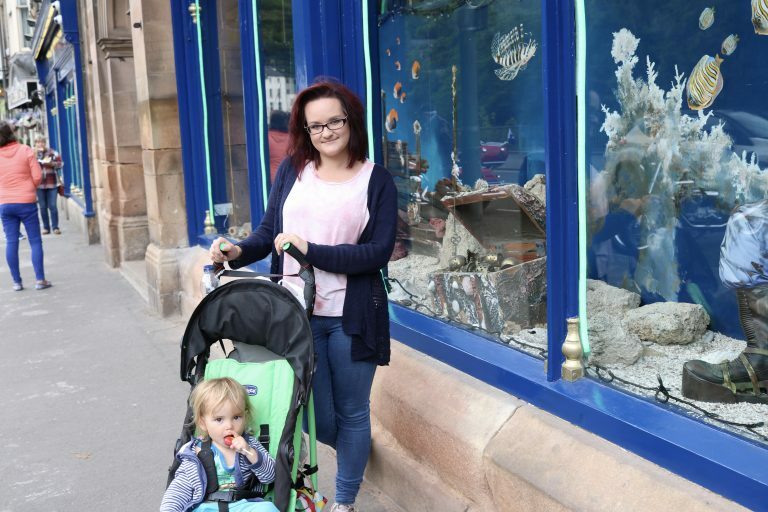 A short bus ride away is Wentworth in Rotherham, the Wentworth Garden Centre is brilliant and the children’s farmyard is a lot of fun. I recommend exploring the historical walled garden. Bakewell is a beautiful old village in the Peak District. Whilst there’s not much to do there, the day can be spent just enjoying the atmosphere and pleasant surroundings. 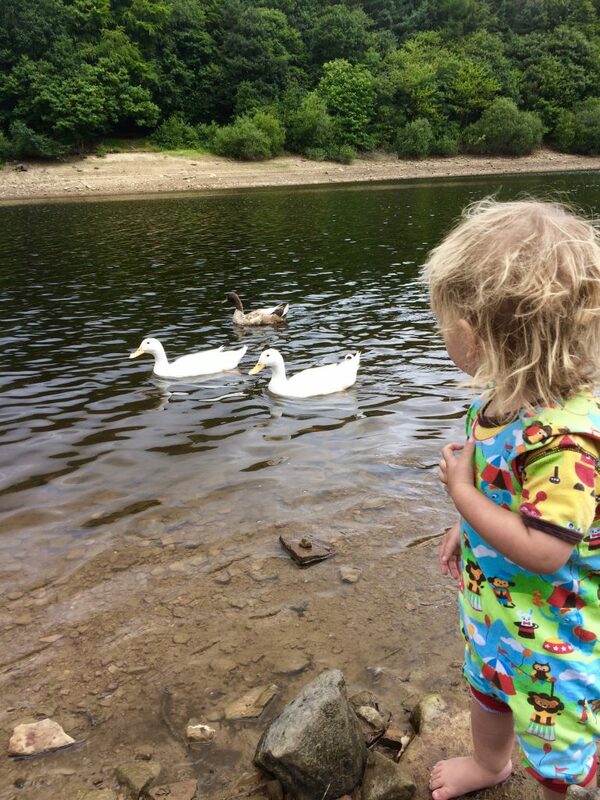 A stroll to the park is a must along the water and duck spotting. 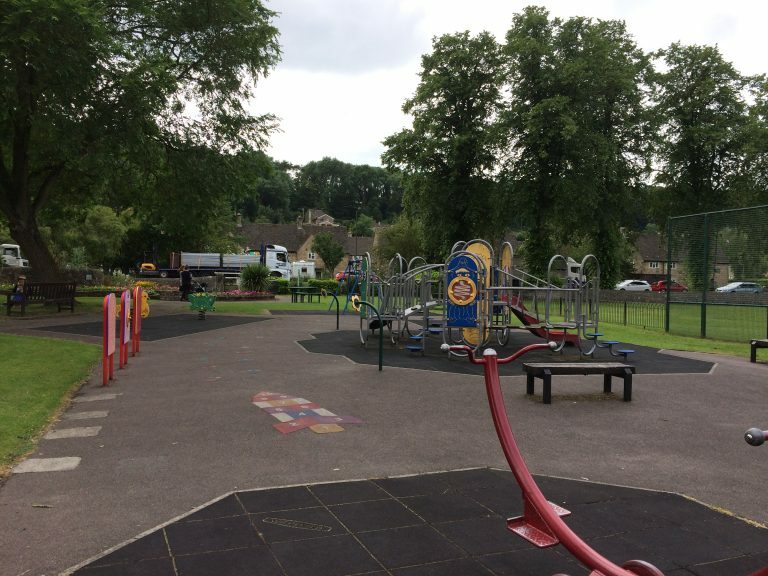 The park has a good playground with splash pad and there are walks in the area including the buggy, cycle and foot friendly Monsal trail leading up to Hassop station cafe. Market day is great and there are so many nice shops and cafes in Bakewell. Doncaster is home to Yorkshire Wildlife Park the very popular zoo, families love it and it’s a fantastic day out for all ages. 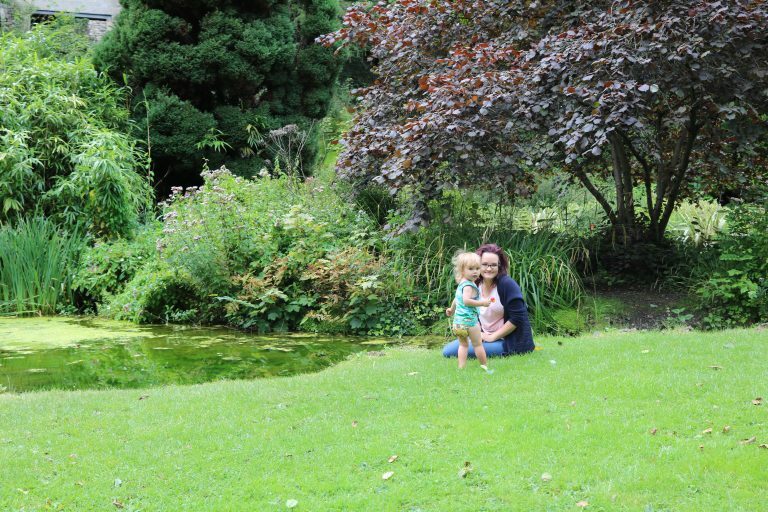 Explore English Heritage Brodsworth hall and gardens for history, Cusworth Hall and Museum (free), or Thrybergh Park (free) which has an ice cream parlour and nature reserve. 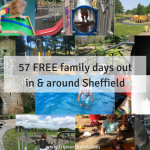 Rotherham is close to Sheffield and it’s here you can find one of South Yorkshire’s best soft play centres and free parks. 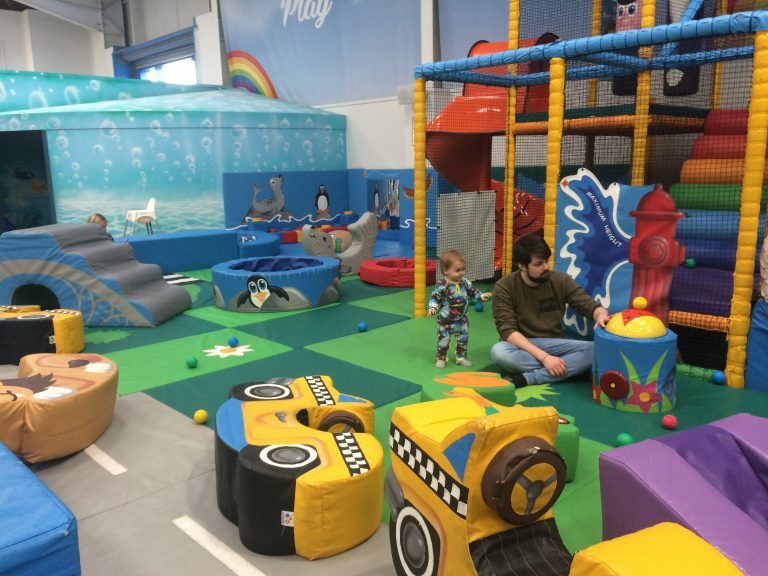 Big Apple play centre is just a stones throw from the city centre and is huge, clean and airy. 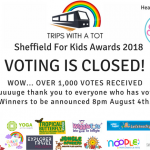 If you prefer small play areas visit Kiddy Winx Play cafe in thurnscoe which encourages children to learn through play and has imaginative play equipment; watch a video tour here..
For outdoors, Clifton Park and museum is so great for children, it’s completely free and you can’t really beat it. 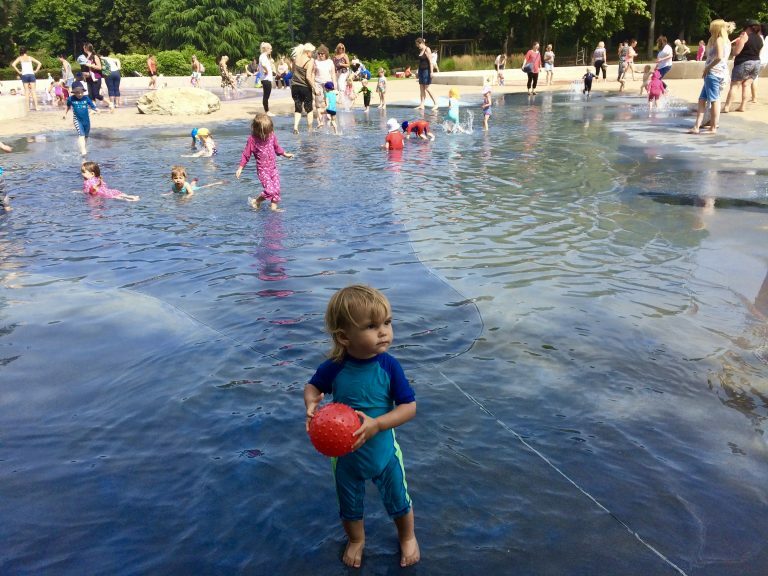 The museum is child friendly, there is a great free water splash area and variety of playgrounds with sandpits and more. Tip tip: Don’t miss Grimm & Co! 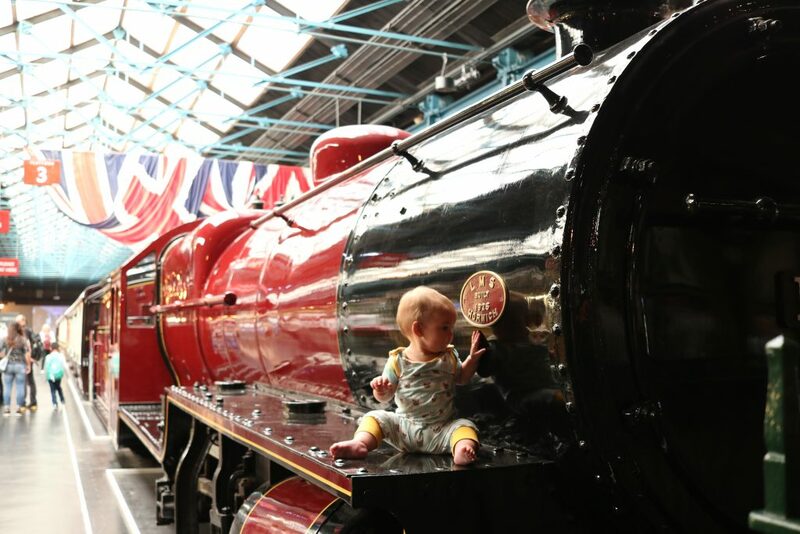 York is only an hour away from Sheffield by train and next to the train station is the National Railway Museum. 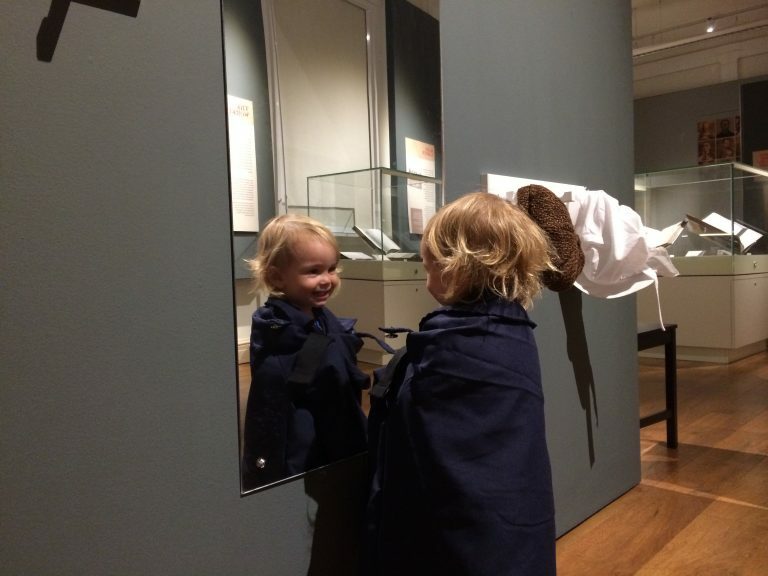 The museum is free to visit and really worth a visit for all ages. 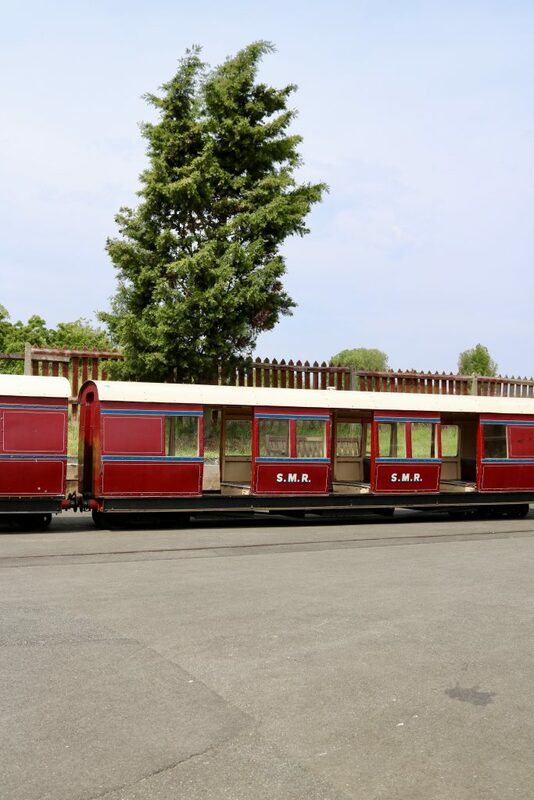 There’s a small miniature railway outside and a play area inside. Also in the city centre is York’s chocolate story, York Castle Museum, Jorvik Museum, York Art Gallery and Yorkshire Museum. 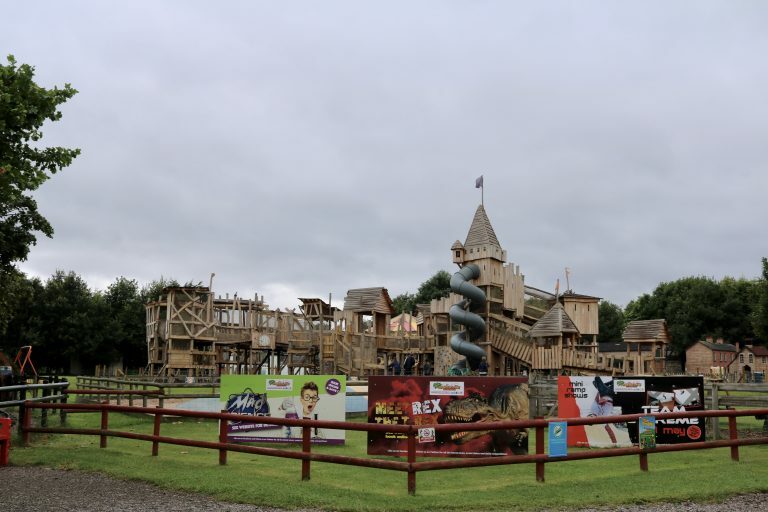 A short bus ride away is Web Adventure Park which is so fun, there’s a small farm, outdoor water play and playgrounds, and a big soft play centre inside, or Castle Howard for some history. Piglets Adventure Farm is a big, fun family farm with loads going on; we really liked it. There’s great stuff to do in Leeds. 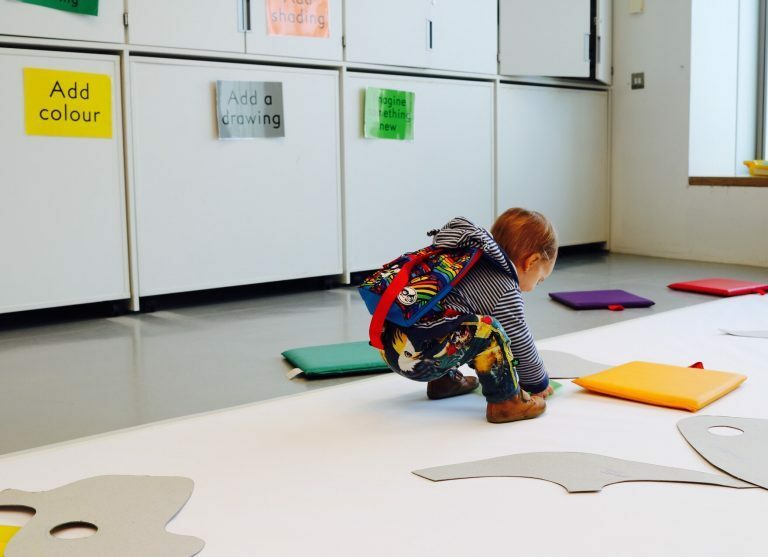 There’s Leeds city museum which is great for toddlers and has a busy schedule with free events and activities. 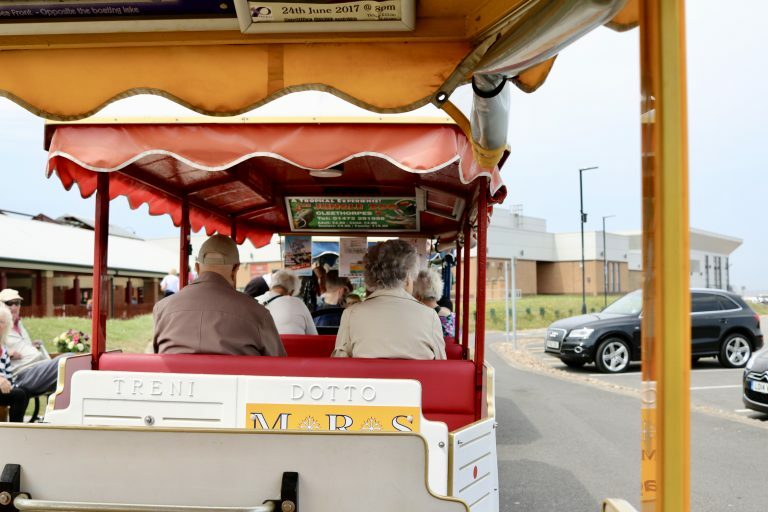 Ride the free water taxi down to Royal Armouries Museum, visit Kirkstall Abbey ruins and the lovely Abbey House Museum, Roundhay Park and Tropical World, and even more. Read this guide to 7 best things to do in Leeds! 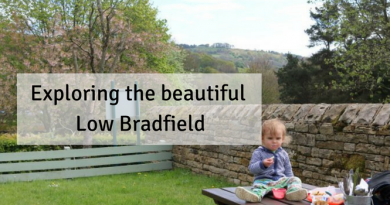 This cute village on the outskirts of Sheffield is a little haven in the peak District waiting to be explored with families. 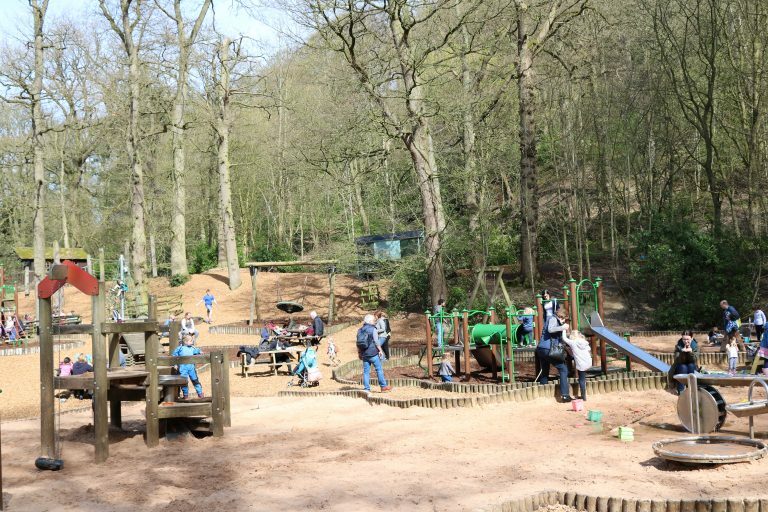 there’s a lovely village playground, family friendly pub with play areas and Damflask reservoir which is flat and great for walking and a picnic. 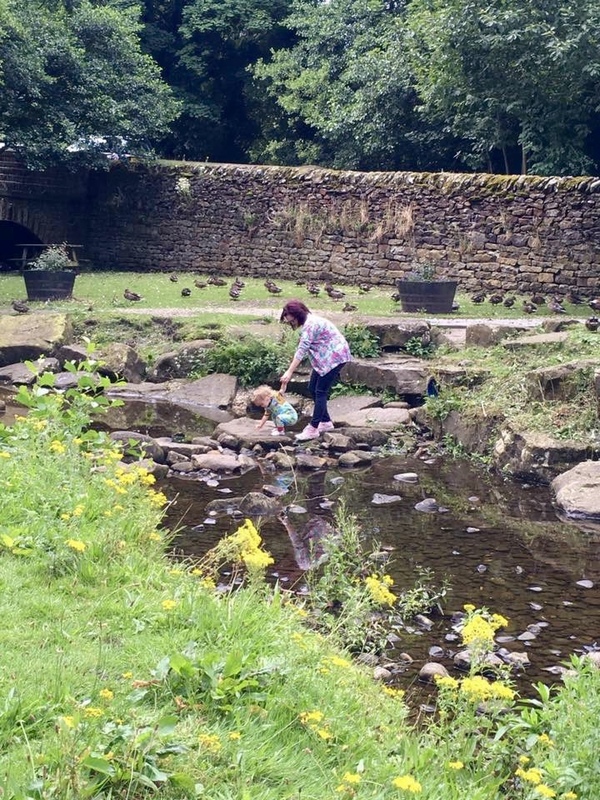 We really love seeing the ducks at Smithy Bridge in Low Bradfield, a picnic and run around the village green on a nice day and just taking in the scenery. So there we have it! 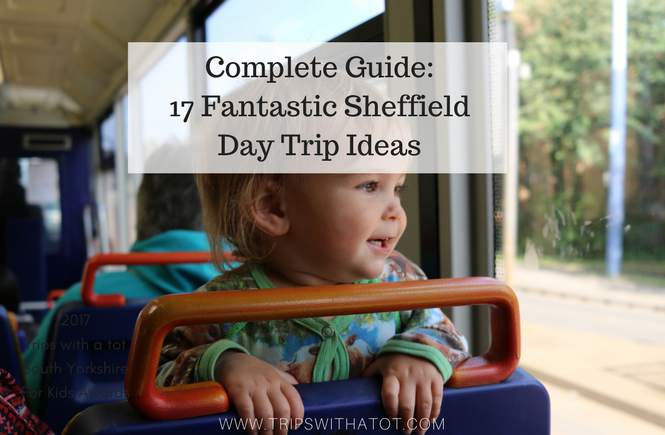 I could keep going, but that’s 17 Sheffield day trips and days out with kids, with loads of day out ideas so you can choose one (or all)! 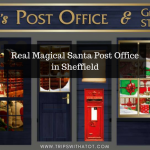 I love living in Sheffield for this reason, there is so much to do in and around Sheffield and transport is good. There’s no excuse to explore a nearby village, town or city if you need something new to do. Take your pick and enjoy! All of these picnic spots are great. 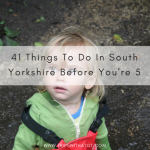 I picked two of my favorites from this list–Rotherham and Mancheste.